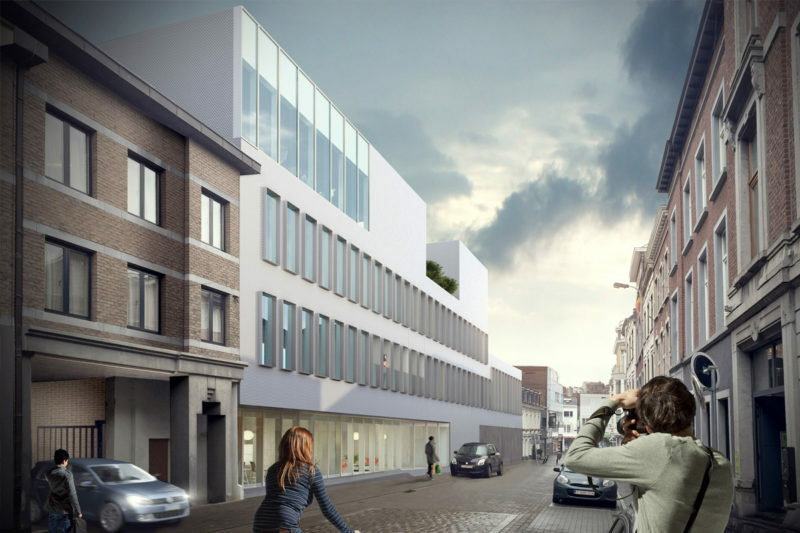 The SWDE headquarters are currently spread out over a number of buildings within the same block in the centre of Verviers. 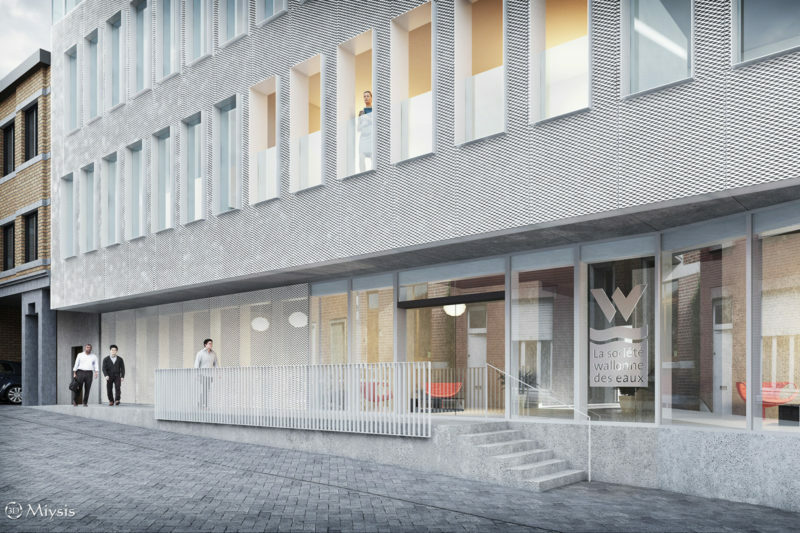 SWDE acquired a number of properties in the immediate vicinity with a view to building an extension to its administrative headquarters. The plans for the Rue Jardon involve demolishing a row of dilapidated houses and constructing a new and efficient office building. 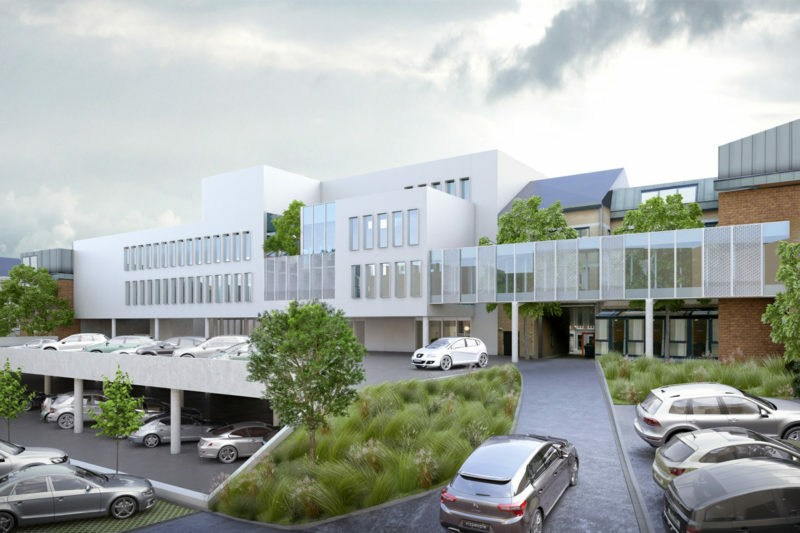 The aim of the proposed plan was to allow a different functional and organisational system, bringing together certain departments and creating new space. 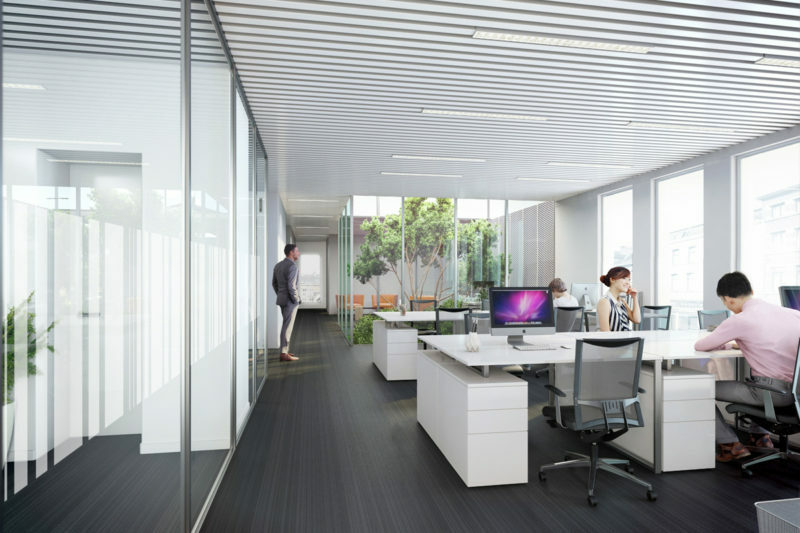 The building is designed to be flexible in its use of space, with large office tracts allowing different plans. Each floor has its own outside area and interior arrangements are designed to facilitate contacts between employees and small meetings.